"The "new normal" also means facing a new reality. One which we didn't choose." What is the "new normal" after a diagnosis of primary or secondary breast cancer? This was the question we asked in this week's discussion. 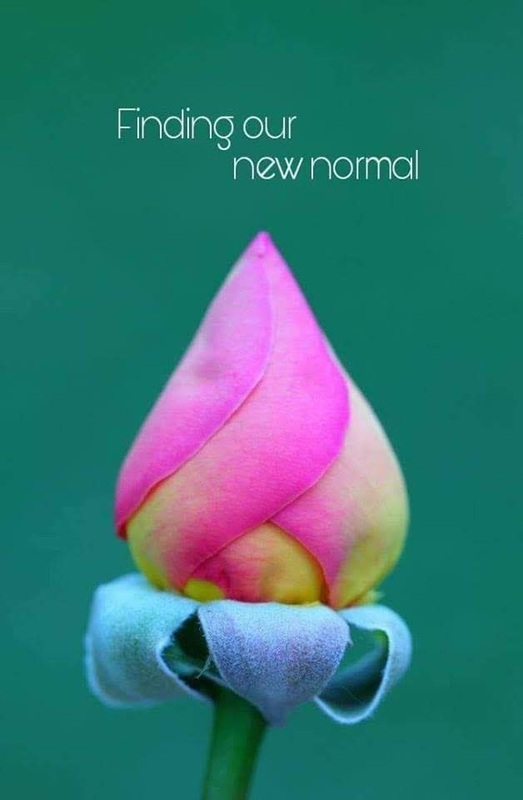 People tend to speak of the "new normal" in relation to the process of adjusting to life after a cancer diagnosis, often when active treatment has finished, when the physical demands on us have receded somewhat, allowing us time to reflect and to "find our new normal." In our experience, the phrase "new normal" is actually an ambiguous term used to convey somewhat contradictory ideas - firstly, a fresh way of being, suggesting the idea of a new start, and secondly, the process of adjustment to a reduced or more limited way of being and learning how to manage the different roles that make up our identities. Our discussion, which included women with primary and secondary breast cancer, highlighted that one aspect of our "new normal" meant living according to our changed values, changed health, changed energy, perhaps with a new appreciation for what was important to us, and was coloured by gratitude and opportunity. It was idealistic. It was fruitful. The kinds of things we might hear or say to ourselves from this perspective are - "You must really appreciate your life now." "Go and be happy." "You have a second chance." "Make the most of your life." However, this is just one part of how we feel. 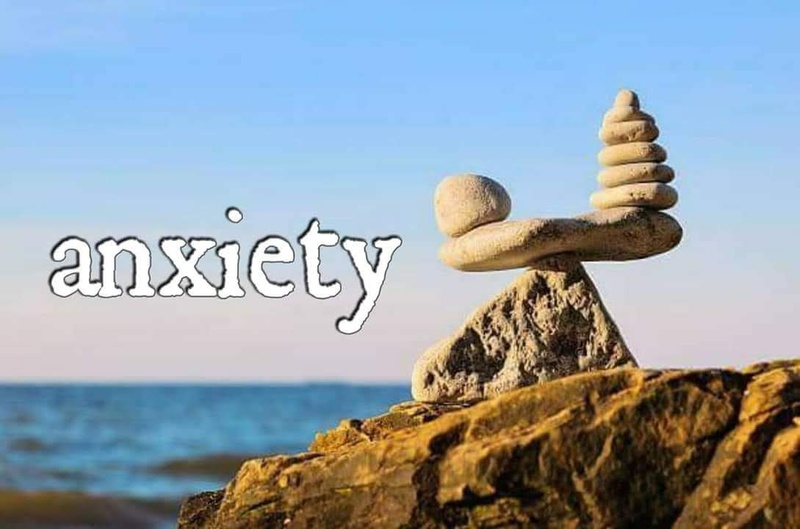 Alongside our desire to make the most of our life and explore new opportunities, we are also often dealing with ongoing side-effects, and, anxiety about recurrence or progression of disease. Some of us were also dealing with particularly challenging physical and psychological side-effects as a result of treatment, or secondary breast cancer. These different factors meant our actual experiences of "normal" were a bit different. Some of us felt we had lost sight of what "normal" was any more. Others of us experienced a gap between what we expected or hoped for ourselves, and our new reality. Some of us were striving to return to previous ways of being, such as resuming careers, whilst others had been forced to make significant changes and the "new normal" meant a new home, job or relationship. Naz explained that psychologically, the new normal is a hard process of establishment, to try to reach some kind of stability that is inevitably still evolving through time. We have changed, yes, but the changes are not a means to an end and are ongoing and evolving.The "new normal" is not static but is a dynamic process and at times we can feel at the grip of forces outside our control. The "new normal" comes with gratitude. We have insights and a belief that we can get the most out of every day. It can bring opportunities that only we can appreciate. Ones that make sense to us. The "new normal" also means facing a new reality. One which we didn't choose. It brings limitations that beg us to dig deeper, either to do the things we once took for granted and are now a struggle, or, to make changes so that we can continue to function meaningfully in our our lives. We have to learn how to make things work for us within the changed frameworks we have. Yes we are. We face challenges that are tough to handle. Challenges that come with acceptance of our limitations and in tackling them. We continue nevertheless. We were not sure how to define our new normal. We decided we would not call it "normal" as it's unpredictable, a challenging normal and lacks stability. We thought one of the most appealing aspects about our "new normal" were our opportunities to challenge and change, for the better, and to recognise that we are ever changing. 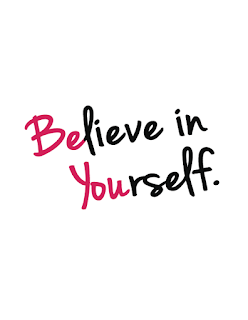 Self-esteem is commonly seen as being about self-perception. And self-perception at least partly depends upon how others see us, how we fit in, and how comfortable we feel in our intimate and social relationships. A diagnosis of primary and secondary breast cancer can shatter our self-esteem. We can feel physically disfigured by harsh treatments like surgery, chemotherapy and radiotherapy and we are battered by the emotional storm of cancer. 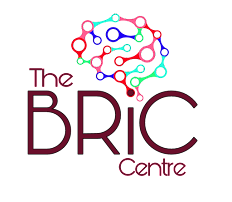 As we know, 'chemo-brain effects' and our problems with cognitive skills can last for many years. Yet we all know how important it is to be cognitively able in social, personal and work settings. Slips in memory and lapses in concentration and attention seriously undermine our confidence. We are changed by breast cancer and it is natural to compare who we are now to who we were before we were diagnosed. We can sometimes be upset because we are not the same; the changes were enforced, not chosen. Trying to come to terms with the new ‘normal’ is hard and takes effort. When we have problems identifying with ourselves, our self-esteem is affected, we are trying to make sense of who we are. Social isolation can follow because we find it hard to communicate, we find people don’t really ‘get it.' Some of our relationships break, others are supportive, but can be stressful. Our partners have to come to term with our changing self-esteem. One of the biggest effects of breast cancer is on our intimate relationships. Menopausal symptoms can lead to difficulty in being physically and emotionally intimate. 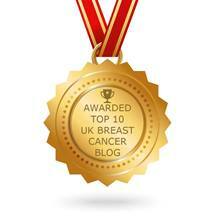 Is it possible to reverse the effects of breast cancer on self-esteem? We were not sure.The answer is not easy. Do the coping styles we used before our diagnosis help us? Or are we too tired, too fatigued, in pain, and too much in fear of cancer coming back or progressing? We can become resilient after trauma, but we do not easily find the resources - we are running on empty. Our discussion, which included women with primary and secondary breast cancer, highlighted the myriad and unique ways we lose and find our self-esteem. Some of us felt we had never had self-esteem, or had lost it completely as a result of breast cancer. For others, the impact of weight gain and surgery had profoundly impacted on our sense of womanhood and our ability to be sexually intimate. Some of us described how we had found self-esteem in other areas of our lives, like work, or through new interests and outlets. Others described discovering self-esteem through changed values, for example we no longer cared what others thought because we were dealing with secondary breast cancer, and this knowledge had freed us (as well as terrified us). For a few, the crisis of breast cancer had led to a complete transformation of our 'selves', or, the discovery of a new appreciation of who we were - in all our vitality. In terms of research, Naz explained that one of the biggest limitations in breast cancer research is the lack of prospective studies: those that can compare factors like self-esteem before and after a diagnosis of breast cancer. Most research is retrospective - it looks into the past through the eyes of the present, and this brings with it a huge element of bias. Self-esteem after a diagnosis of breast cancer, we learned, becomes about how we can learn to nourish our battered bodies and our minds, how we hug and love ourselves, how we find beauty and strength in our flaws. 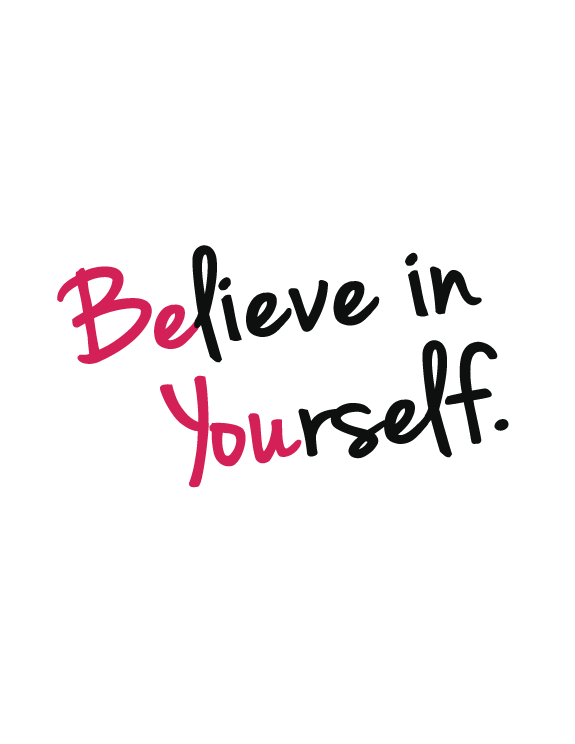 Self-esteem doesn’t define us, we do. And we are amazing. 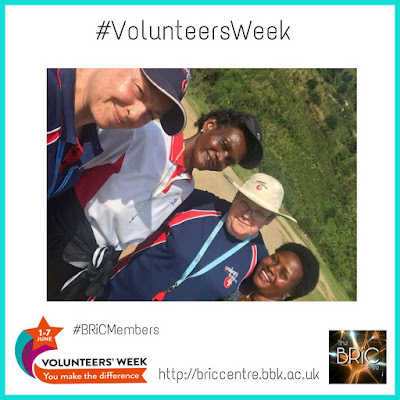 It's #VolunteersWeek, and we've been sharing the many and varied ways our members volunteer their time and efforts to help others. First up are Sarah-Jane, Suzannah and Jocelyn who run a breast reconstruction group to support women who are thinking of reconstruction following cancer diagnosis. 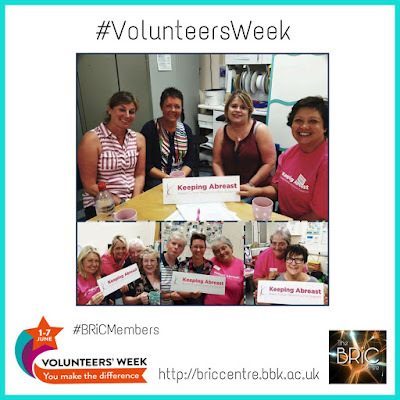 The group, Keeping Abreast Hertfordshire and Bedfordshire, meets at Lister Hospital Stevenage every 6 weeks. It really helps women who are considering their options and they can see results for others who have gone through a similar thing. 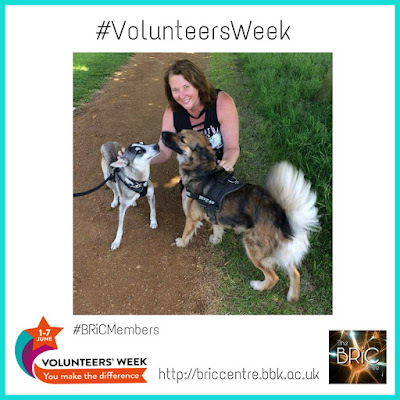 "...it's enriched my life no end..."
"I volunteer doing home checks for animal rescues with the animal team in London. I have 5 rescue dogs and cats from Romania and I love giving up some time to help home other rescue dogs 🐶 I’ve made so many new friends." 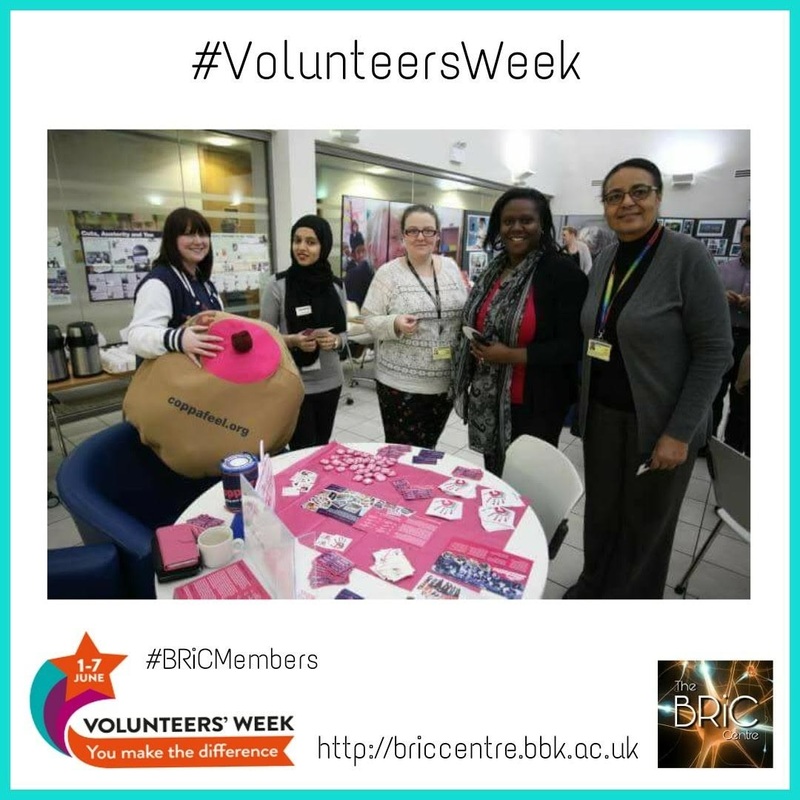 It's #VolunteersWeek and we are thrilled to showcase the many ways our members, all women who have been diagnosed with breast cancer, give something back to their communities. 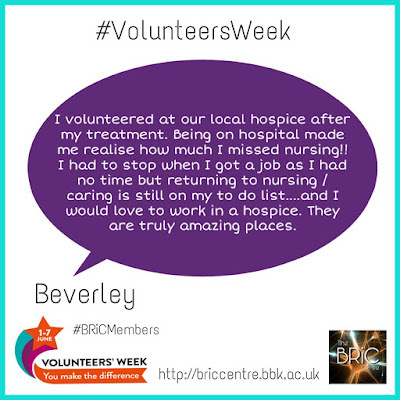 Today we hear from Beverley about volunteering in her local hospice! Do give her a big cheer! "I am a volunteer junkie and have been all my life, I get so much from it. 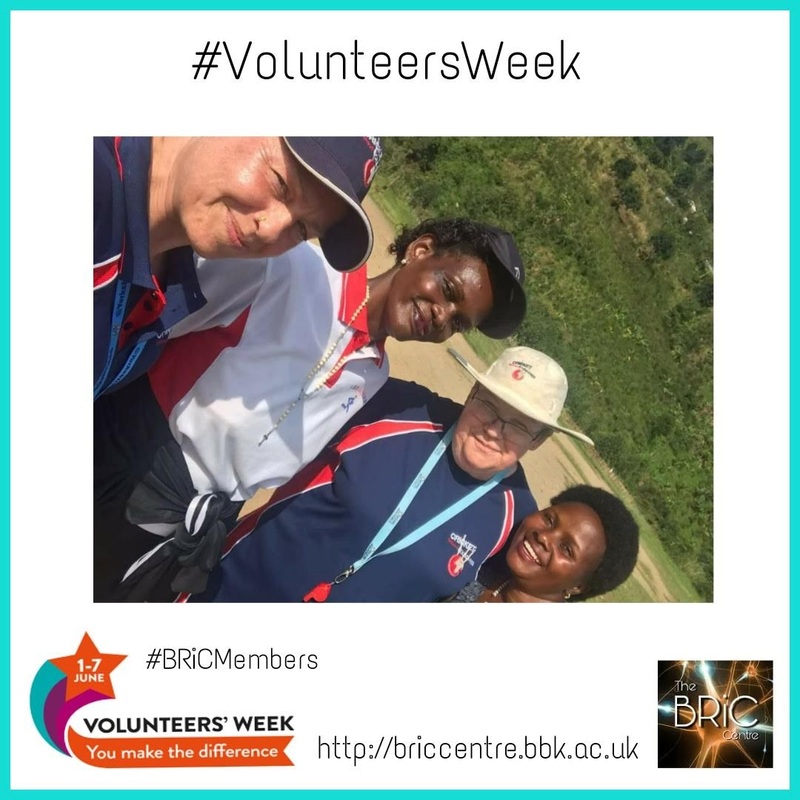 I volunteer with the RAF Air Cadets, Cricket Without Boundaries (using cricket to spread HIV & AIDS messages in Uganda) and with the local wildlife trust. I do get tired but it is so worth it 😊"
This #VolunteersWeek we’re sharing the stories of some our wonderful members, like Lisa, who support others. "I’m a volunteer speaker, reviewer and fund raiser for Breast Cancer Care - I’ve been involved in the Fashion show for 5 years, I’ve modelled bras and trained bra fitters, was at the launch of the FAB1 pink Rolls Royce and interviewed for Vita magazine. I’m also a member of the London and S. East Volunteer Forum for Macmillan, and I’m a reviewer, a voice and a fund raiser. 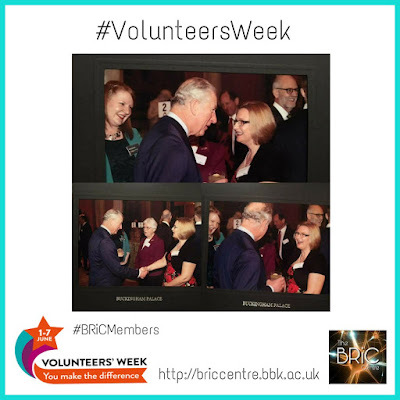 I was lucky enough to be invited to Buckingham Palace by Macmillan earlier this year where I met HRH Prince Charles. I volunteer at Race for Life for Cancer Research where I give talks on the stage, Marshall at events or help my friend on her burger van where we make a large donation to CRUK. 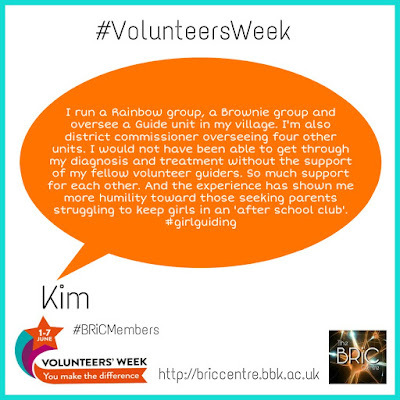 Volunteering kept me going through the toughest days and has given me a reason for having that dreadful disease. 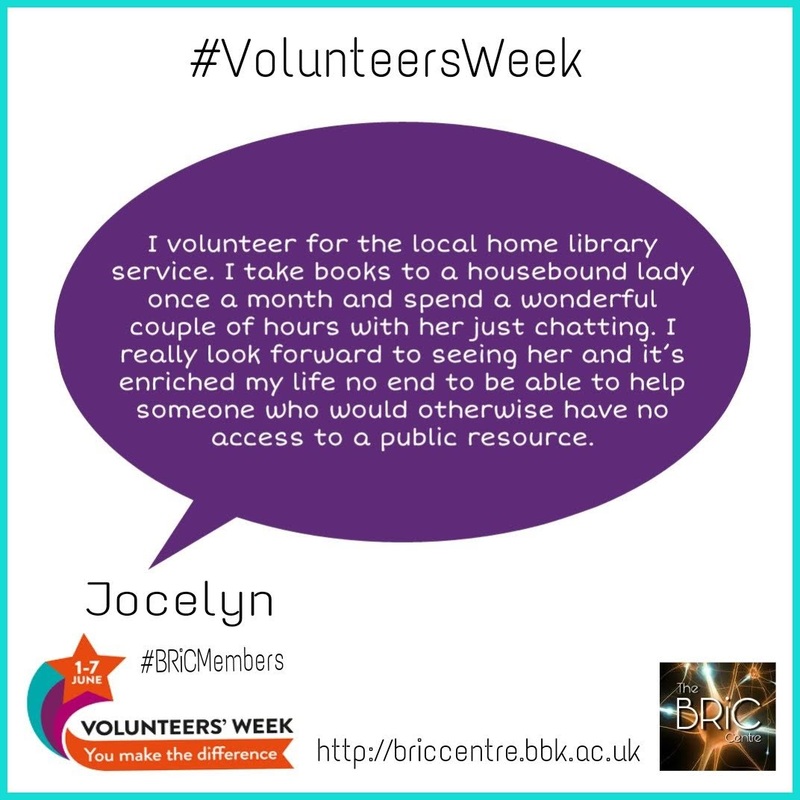 It makes me happy if I can bring comfort to others by sharing my experience." 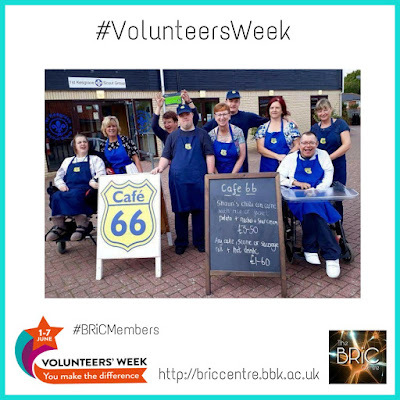 This week is #VolunteersWeek and we are celebrating the invaluable contribution made by our members to volunteering. This time it's Kim's turn to take centre stage! "I’m a volunteer for CoppaFeel which is a breast cancer awareness charity. We educate people on the signs and symptoms of breast cancer. Our message is that early detection and self checking/awareness is so important 😊"
"I volunteer for my local community cafe. We support young people with learning difficulties and disabilities in serving the public which helps their confidence and self-esteem. I work in the cafe one day a week and I am also an admin for the Facebook page. I have retired and this gives me a feeling of belonging to a 'work' family and the pleasure of seeing the smiles of happy customers and staff is very fulfilling." "Always, always, we go on. Slowly. Quietly. Never giving up." To mark #VolunteersWeek, please give a HUGE cheer to our BRiC admin team, Anita, Caroline, Jan, Jenny, our Deputies, Tamsin and Vicky and to Naz who Heads the BRiC Centre. 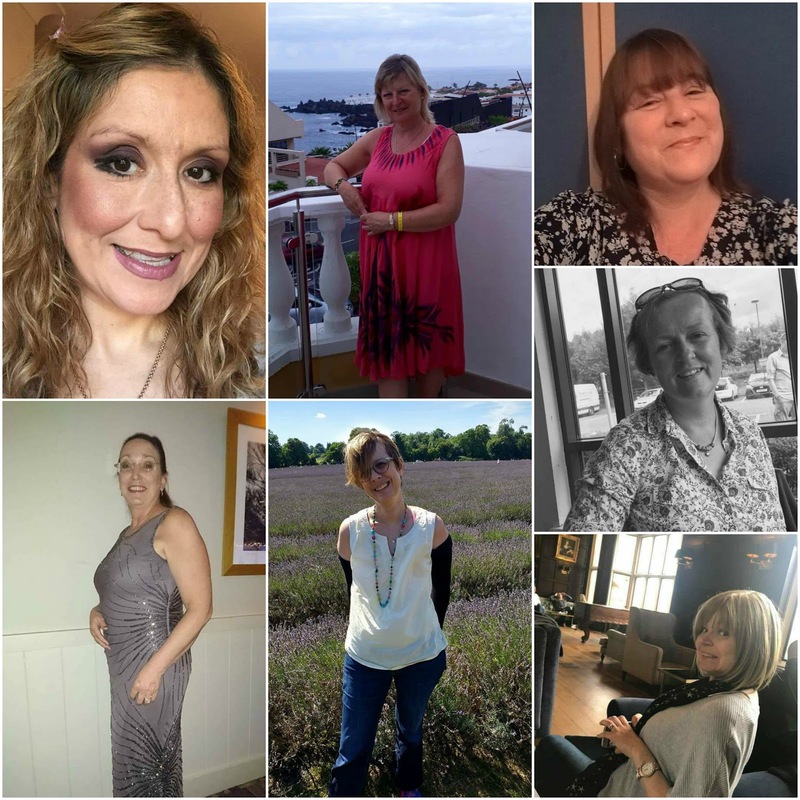 Together, we strive to support women with primary and secondary breast cancer - by running our centre and our amazing group, by offering support, kindness and wisdom, by writing blogs, by considering relevant research, by sharing engaging articles, by having guided discussions and by providing a safe, kind environment for our members, fostering our resilience.